Why Voice at William Paterson University? 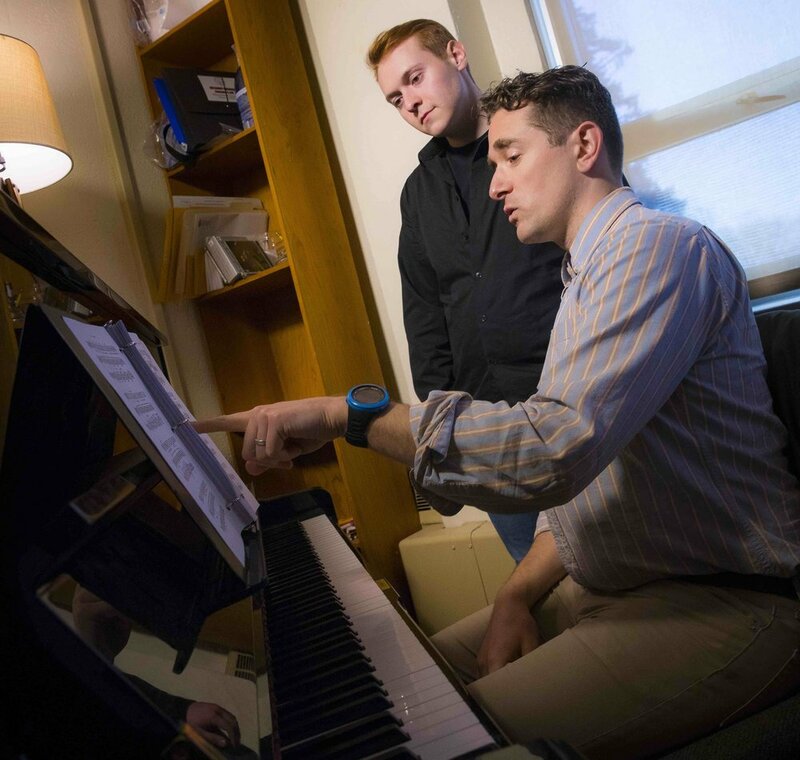 For a young singer, the undergraduate years are highly influential in a student’s career. Whether you intend to pursue a career on Broadway or at The Metropolitan Opera, in New York or Nashville, in performance or music education, we believe that our multifaceted approach to voice in all styles will prepare you for the 21st-century career in music. At William Paterson University, we will prepare you for the career of your choice. No matter which program you enroll in – classical performance, jazz, pop, music education, music and entertainment industries, or sound engineering – you will receive 60-minute lessons focusing on excellence in technique and interpretation. Excellent and healthy voice training is the foundation of our program, combined with a team-oriented faculty environment. Our program is selective, so students receive individual attention and mentorship in all ensembles, private lessons, and master classes. William Paterson University provides all voice students a comprehensive education by a world class faculty that is committed to building your voice for the 21st-century career, regardless of your major. Explore our promo video for performance opportunities and what our students say about their WP Voice experience. The Voice Program has a distinguished history of success in preparing singers for the professional world in performance, education, and the music industry.